This is a gorgeous, super-cute Bow Tie. 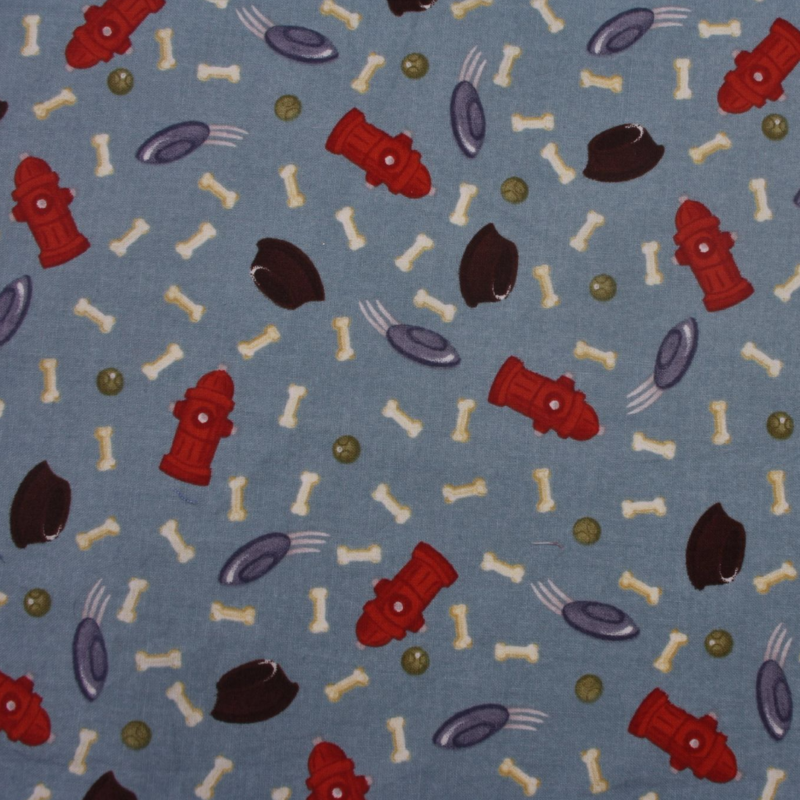 The background is a beautiful shade of vintage blue, with a cool American themed print incorporating little bones, frisbees, feeding bowls, balls and red fire hydrants! The print has a lovely vintage feel....it's a very stylish cotton, and it has a super smooth feel.